Email marketing is an attractive way to remind customers about their items on their shopping carts. When an online shopper abandons your shopping cart is a relevant issue that needs your attention. Results of studies reveal that there are about 50% to 70% of ecommerce shopping carts were left by online shoppers before they checked out. According to research conducted by Forrester, there are about 87% of potential customers who abandoned shopping carts and 70% of carts are abandoned just before the potential customers checked-out. Visitor A is doing her online shopping and comes to your online store. She wants a necklace and found something that she wants. She places that necklace into her shopping cart and starts processing her check-out. However, she abandons her shopping cart and goes offline from your online store. Have you ever had this experience in your website? Have you ever wondered why? What made her change her mind? Could it be the shipping fees? How can you win her back to your online store? There is more to a potential customer abandoning her shopping cart. It is not as simple as they just changed their minds just before finishing the transaction. Reasons can be practical and driven by experience and behavioral of the customers. Practical Reasons – This happens when a customer considers her basic shopping needs, such as how much does the object or item cost, time it will arrive, tax, and the shipping cost if it is projected. There is another study that shows that there are 55% respondents who abandon their shopping carts due to high cost of shipping. There are 38% respondents who abandon their shopping cart when the shipping and delivery period takes too long like eight days or more. Experiential Reasons – “Negative” experiences on website is another reason why potential customers abandon their shopping carts. The items or the shopping total amount does not what the customers projected basing on the promotions such as free shipping and discounts. There are also instances when the shipping computations come in late in the check-out process. Order history is another unpleasant experience, like shipping information is not saved from past purchase and is making their time to buy longer. 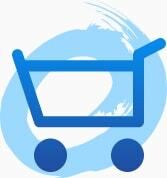 Behavioral Reasons – There are customers who are utilizing shopping carts not just to purchase an item. There are many online shoppers who abandon their carts because they are not yet ready buy or just saving the items in their carts and buy them later. Others just put their chosen items in their shopping carts to compute the shipping costs, discounts, and more but they do not have the intention of buying, or may be buy them later. They call this behavior as “budgeting effect.” There are customers who do online window shopping and place their selected items on their carts. They may buy the items later or offline. There are those who may also buy from other sites. Interesting but mobile cart abandonment is higher with approximately 90% from a study conducted. This happens when customers surf on their tablets or smartphones but choose to buy the items online. 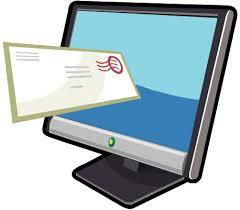 Before sending a single email, you should check and understand the customer’s desires, viewing and purchasing records. You can send your online shopper an email the following day to remind her that she has not completed her check-out process and putting a link to finish her transaction. If you are thinking to offer her free shipping, will the transaction still be profitable? When the customer does not come back after several hours, you can send her an email and offer her a promotion on supplementary item which is lower in value. Then, remind her to buy the item with a discount on the necklace viewed. This may attract the customer and returns to her shopping cart and complete the check-out process. – Let her/him know that there are three of the items she/he viewed left in the inventory. There are many creative ways on reaching out to customers who have abandoned their shopping carts. Email marketing is proven effective when it is done properly. When you use this technique, make is appear personalized and offer attractive incentives to win them back and complete their purchase.